2) Spend 12 days immersed in the reality of the people of El Salvador. 3) Visit historical sites and hear political analysis from top analysts. 5) Stay with families and in local Churches. Cost: $600.00 USD plus airfare. As part of our mission to create an awareness of the plight of the poor and marginalized in Central America, Project Salvador conducts delegations of interested individuals or groups to El Salvador. In the past these delegations have consisted of high school and college students as well as interested adults. 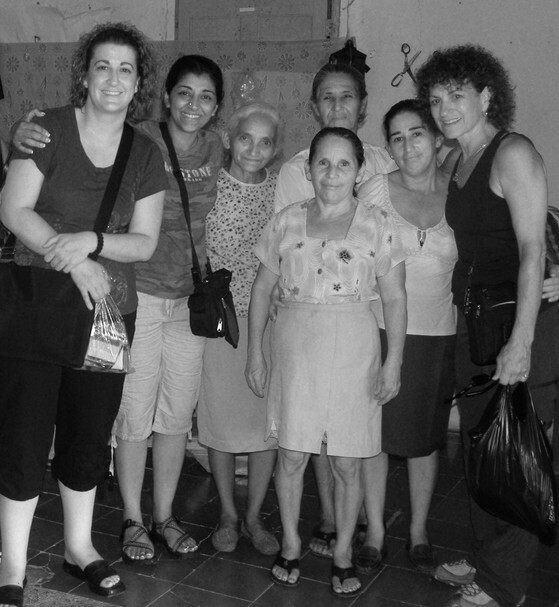 Delegations spend approximately ten days in El Salvador visiting communities and organizations currently receiving financial support from Project Salvador. Typically, delegations visit with members of craft cooperatives, scholarship students, health providers, and community and project members. We also meet with university professors, community leaders and church workers. We visit folks in the city and in the countryside, and are welcomed into their communities and homes. Delegates have the opportunity to hear first hand the stories of people working under impossible hardship; desperate to just live let alone live lives of meaning and dignity. Working side by side with local farmers and laborers, even for a few days, it is possible to gain insight into the difficulties of life in emerging countries as well as the immediate effects, intended and unintended, of government policies initiated in distant capitals. Delegates find that the relationships fostered by these experiences also make it possible to gain insight into their own attempts to live lives of meaning and dignity. Delegations are always under the direction of a bilingual coordinator with experience living and working in El Salvador. The coordinator(s) arrange in-country transportation, learning experiences, accommodations, and meals. Groups are small—usually fewer than fifteen people. Interested individuals are welcome to join upcoming groups as they are formed, or Project Salvador can develop a delegation experience to meet the needs of your group or organization. Christine Agosta, along with three co-workers, won a weeklong trip to El Salvador in a silent auction last year. Far from the Club Med experience that is typical of tropical junkets, they spent several days immersing themselves in the lives of the people of El Salvador and seeing firsthand the work of Project Salvador. They were able to visit various artisan cooperatives, as well as being exposed to some of the historical reality, both recent and pre-Columbian, as they heard testimonies from the war years, visited the site of Archbishop Romero’s assassination and took in the Mayan ruins at Joya de Ceren. Below are some of Christine’s reflections of her brief immersion in El Salvador this past summer. “Visiting El Salvador was such an eye opening experience. Before I went on this trip, I honestly wasn’t sure where El Salvador even was. Ironically, after my short time there, I feel like I belong. Part of that sense of belonging has to do for me with some pretty simple, yet important realizations: how close El Salvador actually is to the U.S., how many Salvadorans there are here—in the U.S. and in Colorado, and the similarities with our southwestern culture. In part my own cultural upbringing, as an Italian-American, and my experiences with exchange students from Central America as I was growing up, added to the familiarity for me. Hearing the struggles that people faced, the history of the war years, as we spoke with the male elders of the community, was a very moving moment. And meeting the women in the artisan cooperatives, who are so hard-working, who create and are able to provide for their families from virtually nothing, really touched my heart. Compared to our lifestyle here, what we think we need, they have so little with which to survive. Even after such a short time there, I would like to learn Spanish better and be able to go back. But now I am back in Denver, and I know I want to support this work, by networking with the people I know in Colorado, and sharing the stories. We are going to sell crafts at my place of work this season, and I plan to put together a slide show, so that people understand who produces the crafts and where their money is going. And I am going to contact my network of family and friends and help raise some money to support the work as well. Christine’s enthusiasm for our work was sparked by her personal experience of El Salvador and Project Salvador in action. It is this kind of openness by individuals to being transformed that has kept Project Salvador vibrant for twenty-four years now! If you are interested in a typical Project Salvador tropical adventure, like Christine’s, which is certain to open your heart, consider joining a Project Salvador delegation this coming summer. Christine (on the right) and two Project Salvador delegation members (left) with the women's weaving artisan co-op in San Jose Las Flores, Chalatenango.